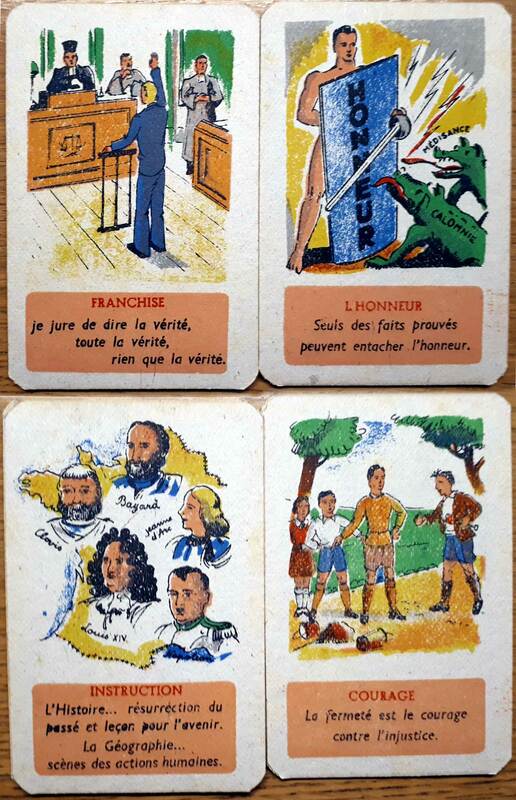 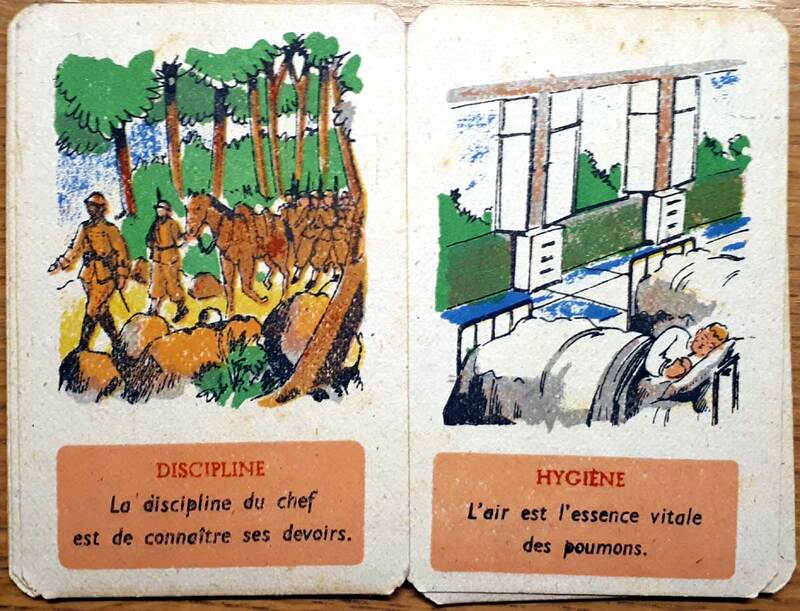 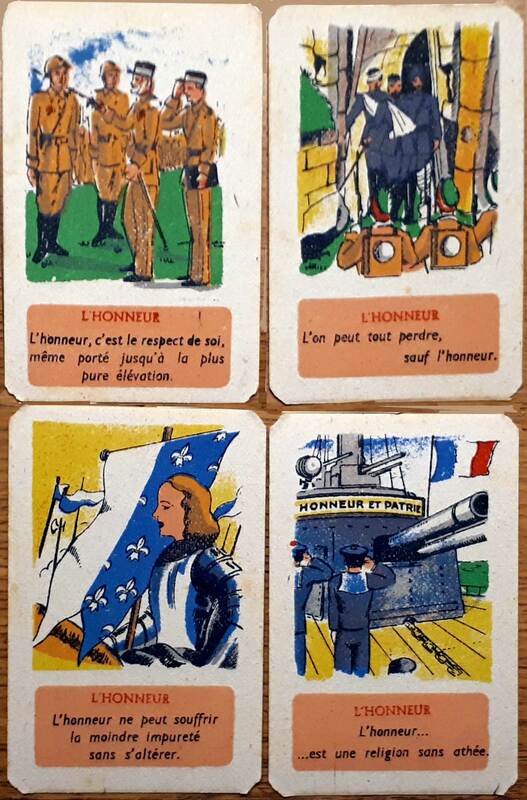 Above: “Atouts de la Vie” wartime card game created by Madame Lucien Willemetz and published by Witho, c.1940. 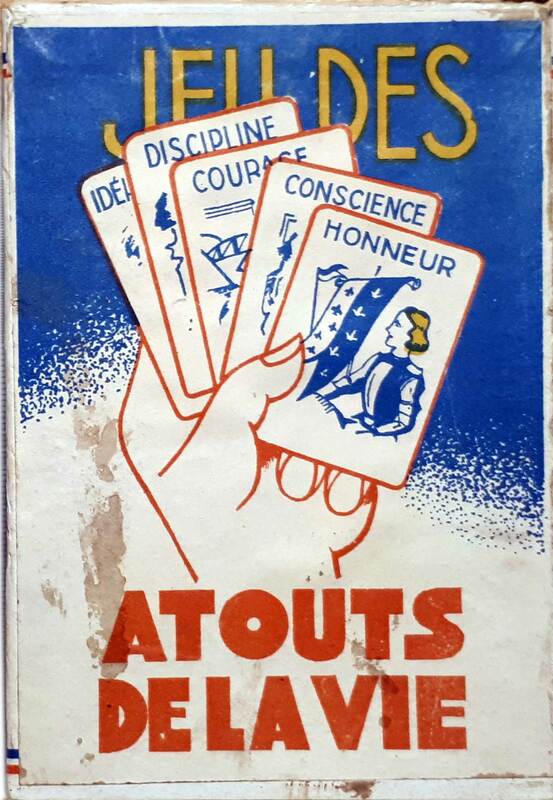 10 virtues x 5 = 50 cards complete, made on wartime restrictions card in original box with info card. 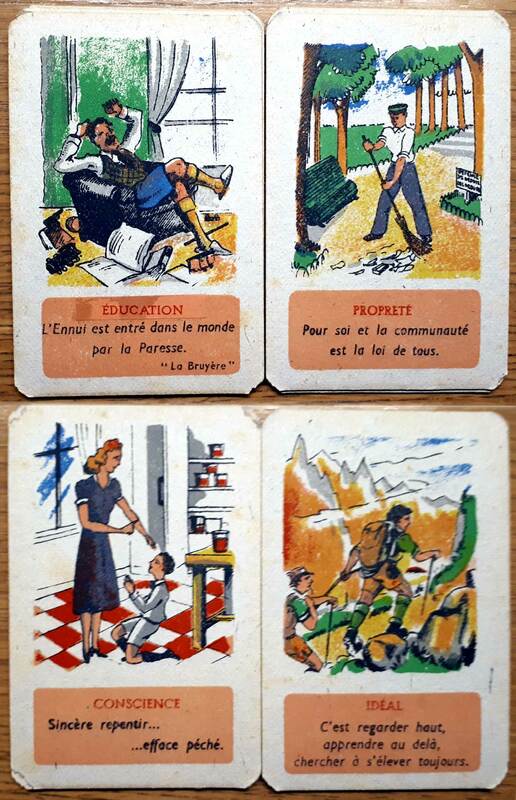 Images courtesy Nick Arden Thomas►.